The Lantana Stone Lavatory is a stylish and contemporary washbasin, which is rectangular in shape and definitely suitable for any bathroom project, from private homes to hotels and upscale restaurants. 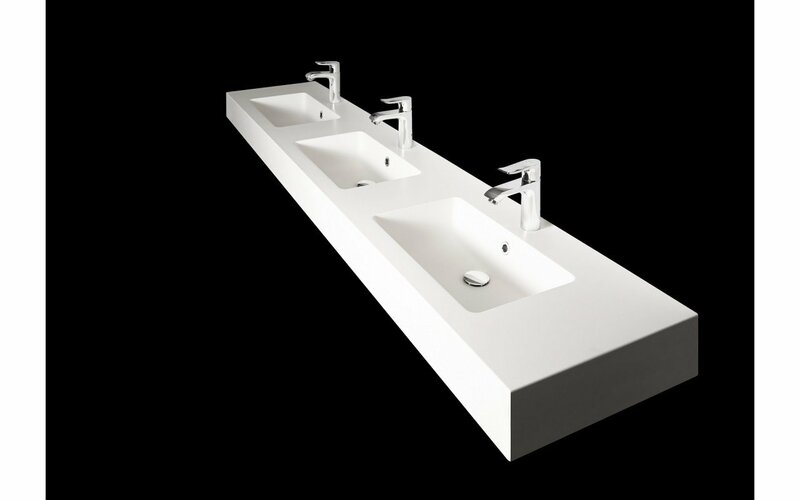 This washbasin also features the option of having one, two or 3 sink bowls. The exterior rim also has an adjustable height from the smallest being 25mm (with no rim), 80mm or 150mm. 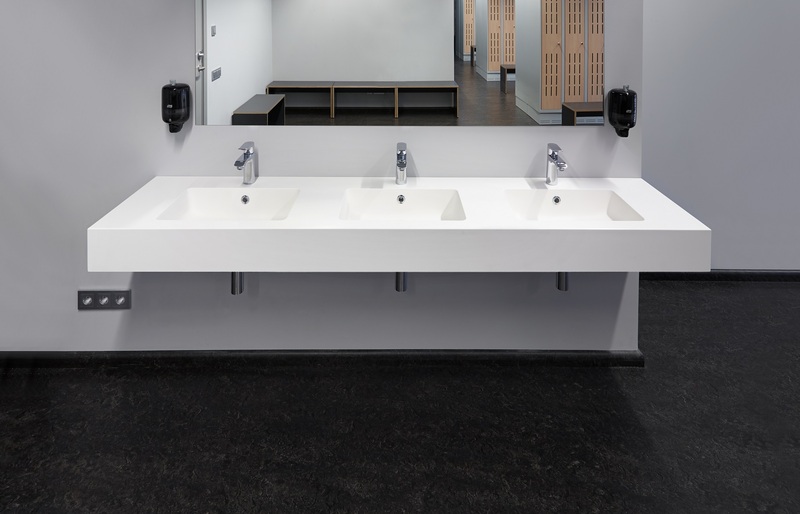 The 150mm exterior rim is also available with or without a built-in towel holder, and all sizes are available with adjustable wall placement. 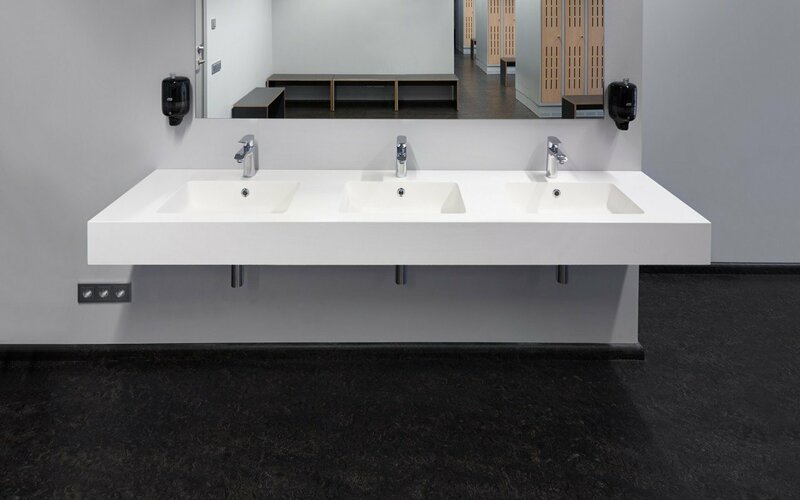 Designed using our AquateX™ material providing the surface with unparalleled heat retention and durability, the exterior length can also be adaptable to any residential or commercial bathroom project, from 450mm (including 1 bowl) or 3500mm (including 3 bowls). If brackets are needed to mount the lavatory to the wall, the distance between the brackets should be at least 1000mm and no less, so for the 3500mm lavatory 5 brackets would be needed. Please contact our sales team for details and estimates.